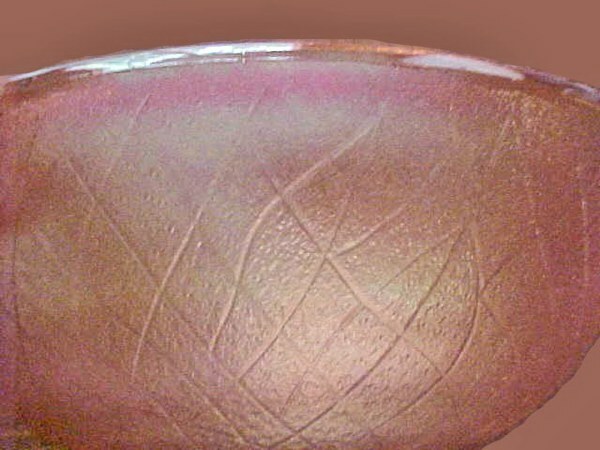 The doors closed on this prominent glass company in 1983, leaving behind huge numbers of patterns within the Depression Glass classification. In spite of the quantity known to have been produced over company history; on occasion, a piece we had not seen will present itself. 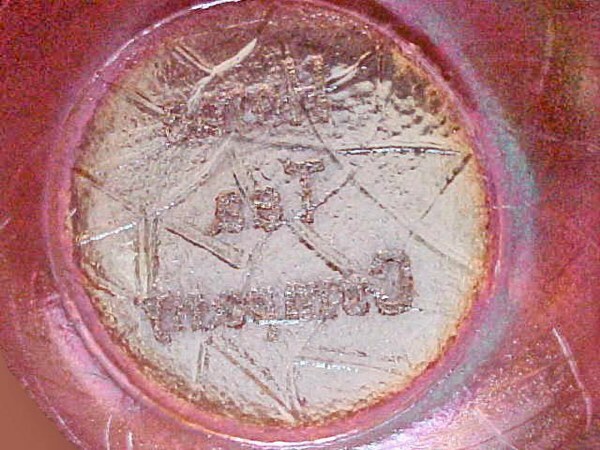 The advertising bowl seen in this segment is in that category. 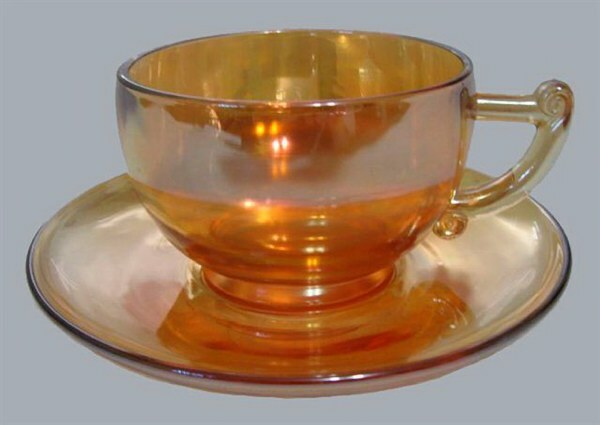 Although the basic pattern: Soda Gold Spears is well-known, it is likely that only those who purchased the tea, would have had access to this advertising item in some promotional effort. This design may have been produced in limited quantity, and possibly this example has been tucked away for many years before making its public debut? 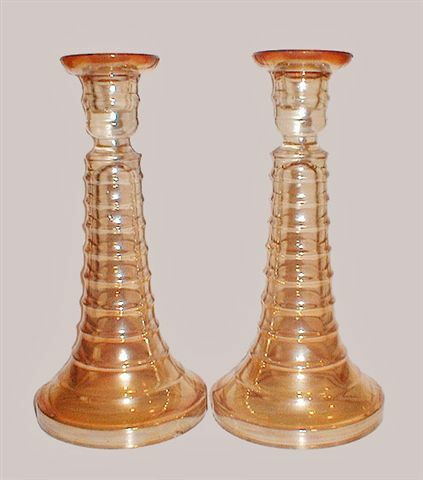 Jeannnette SPIRAL Candlestick - In the 1920s it was called their #5198. The 4 inch base is hollow. On the right is a marketing ad. 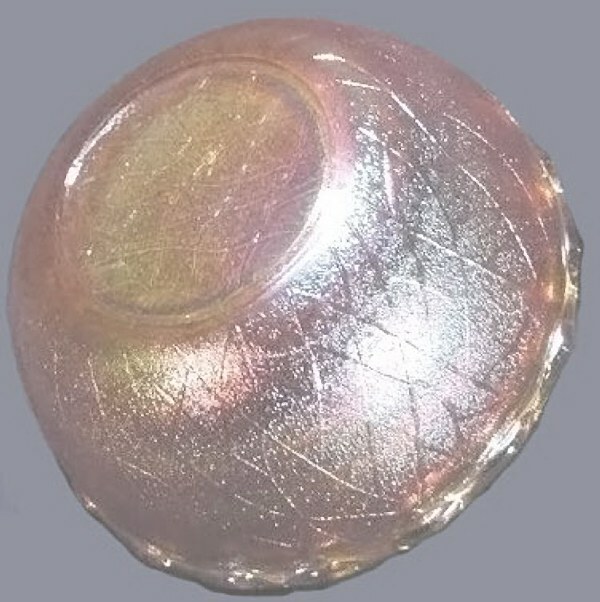 TWELVE RINGS Jeannette Glass in the 1920s - 9 in. tall. 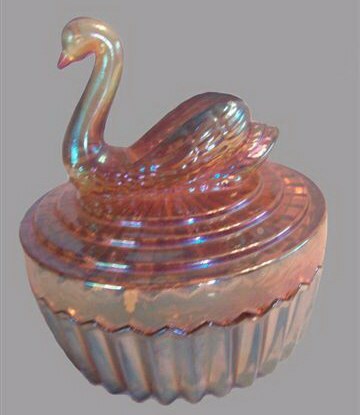 On Left - Amethyst SWAN Powder Box. 5.5 in. tall x 4.5 in. diameter. 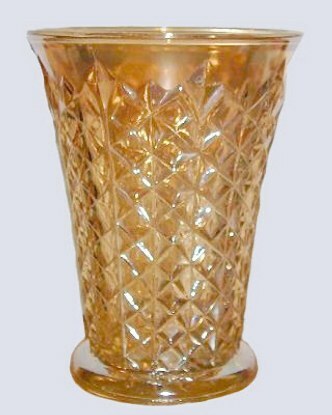 On right - Jeannette DIAMOND PINWHEEL Celery Vase - 7 in. tall x 5.50 diameter. 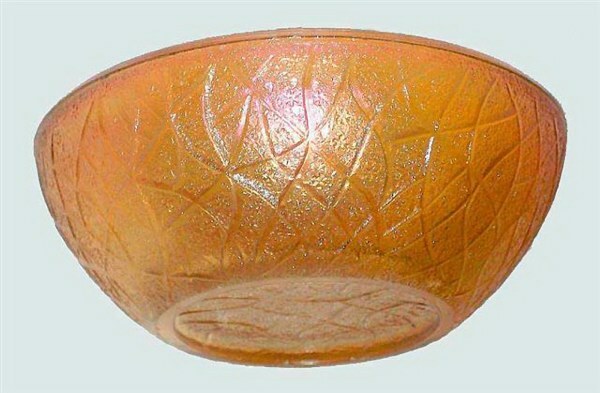 SODA GOLD SPEARS - 4.5 inch Bowl. 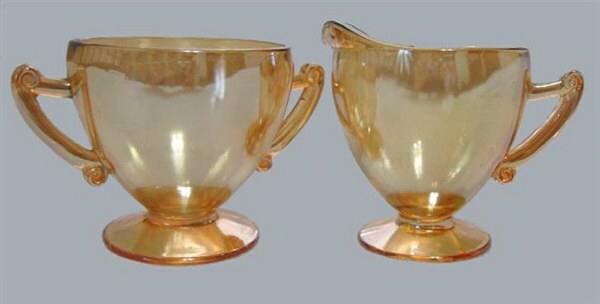 7.5 inch Jeannette Glass SODA GOLD SPEARS Bowl. SODA GOLD SPEARS by Jeannette Glass. 7.75 in. rim diameter x 3.25 in. deep. 7.5 in. x 3 in. 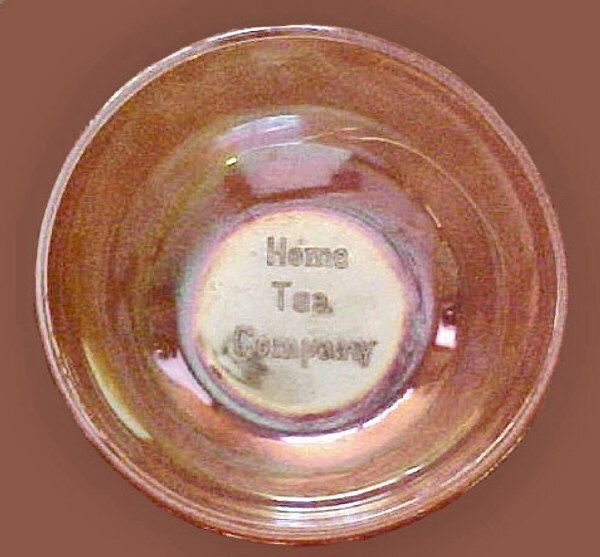 HOME TEA COMPANY was located in Canton, OH. SODA GOLD SPEARS Exterior of HOME TEA COMPANY bowl. for by so doing some have unwittingly entertained angels. Remember the prisoners as if chained with them….those who are mistreated…. considering the outcome of their conduct. Jesus Christ is the same yesterday, today, and forever.